Previous PostBeing stubborn may well save your life – and that of your beloved sister!Next PostStar light, star bright, don’t be sick and sleep at night! Beautiful tribute, Sarah. I was not aware of Dianne’s death so I thank you greatly. I wrote a comment on her daughter’s eulogy page. Thanks again for passing this on. It’s really sad Al. She was one of the special ones. I am sure her daughter will like that very much Al! Thank you, Sarah. This is a beautiful tribute! It’s also inspiring me to get busy writing and blog in earnest. And that is a beautiful Lily! I know Mom loves it! I think we started blogging about the same time… and yes, we made some blogging buddies who stood the test of time. But then there were others who simply disappeared. Remember ‘Classy Rose’? I never did know what happened to her. I tracked her down once via FB and she was about to have a major op. Never heard from her again. Although I stopped bloggin for quite a while I never forgot my buddies. We were a supportive group when blogging was still relatively new. Thanks for commenting once again on my blog! I love the lily you finally grew. 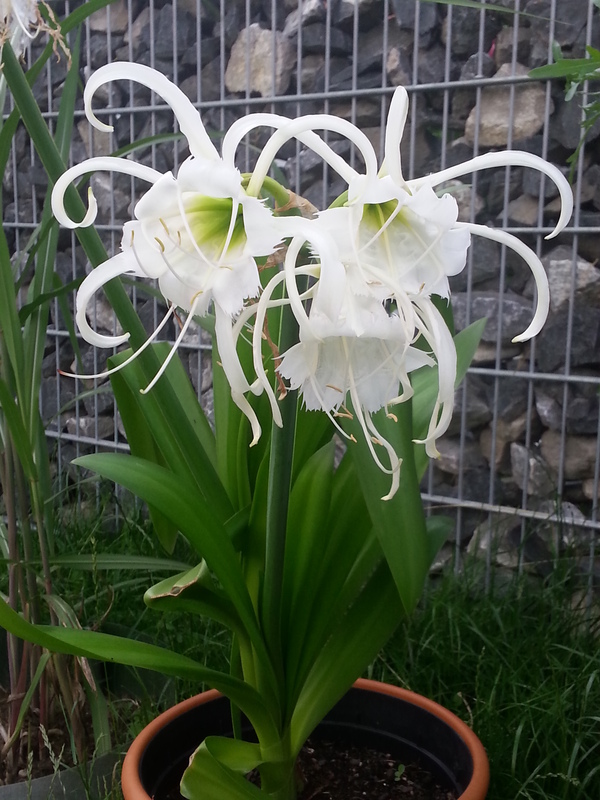 It reminds me of a nerine lily. I am so glad to see you blogging again. I noticed several of your posts pop in my inbox lately and I am looking forward to reading them. Time seems to run away from me at the moment because I am teaching so much. I’m sorry I don’t remember Classy Rose. I’m glad you like the lily. You and Pseu also inspired me so much with my garden. Remember when I had that evil bamboo? My daughter said the other day it’s amazing how good a gardener I’ve become – and I had to think of all you guys, your support and inspiration. In the early days we were like a blogging family and we cared.I’ve been blogging since 2010 and I notice the difference. It is truly amazing how one may never meet the people they encounter on their sites but still form connections. I am sorry to hear of the loss of your friend. Wonderful homage to her here. Thank you Renee! Yes it’s totally amazing. Blogging is a great way to ‘meet’ people you would never, ever have the opportunity to actually meet in real life. People that can really get you. A lovely tribute to Dianne. I have lost four blogging friends in less than twelve months. It makes me so sad.